SIHH 2019: Ferdinand Berthoud Chronomètre FB1 'Oeuvre d'Or'. Live Pictures & Pricing. Four years after its launch by Karl-Friedrich Scheufele, the co-president of Chopard and founder of Chopard's in-house manufacture L.U.C division, Ferdinand Berthoud not only has been awarded the highest prize in the watchmaking industry —Grand Prix “Aiguille d’Or” at the 16th Grand Prix d’Horlogerie de Genève—, but the brand doesn’t cease to impress with the release of incredible looking watches that are exquisitely finished. This time at the SIHH 2019, Ferdinand Berthoud brings a new collection called ‘Oeuvre d’Or’ in a new artistic interpretation of its original creation, the Chronomètre FB 1. While the FB 1 previously existed in white gold with titanium lugs and rose gold with black ceramic lugs, this time the new FB 1 ‘Oeuvre d’Or’ reprises the precious metals of its predecessors, but with rose gold lugs for the rose gold model and with an amazing look that evokes the old era of the Ferdinand Berthoud Marine Chronometers. The dials made of solid gold and delicately hand-engraved, intend to replicate the patina on the brass dials of those old FB chronometers. The Ferdinand Berthoud Chronomètre FB1 ‘Oeuvre d’Or’ are still in-house Fusée-Chain Chronometers equipped with a tourbillon. Featuring 44 mm octagonal cases with watertight openings —in the case of the white gold model for the very first time featuring baguette-cut diamonds instead of a sapphire crystal opening—, the Chronomètre Ferdinand Berthoud FB 1 ‘Oeuvre d’Or’ is powered by a manual wound movement composed of no less than 1,120 components. Both watches are available in a highly exclusive limited edition of 5 pieces each and you know these won’t last long. While the dial on the FB 1.1-2 is made of 18K yellow gold, the dial on the FB 1.2-1 is made of 18K rose gold. Both dials are hand-engraved to resemble patina on brass dials and for the first time the limitation is also individually engraved on the dials. Taking its inspiration from the marine clocks built by Ferdinand Berthoud, the 44 mm case construction for these chronometers is not average at all. A water tight central container houses the movement and four lateral watertight sapphire portholes allow for unobstructed views of the power reserve mechanism and the constant-force module. For this particular new collection, the 18K white gold model Ferdinand Berthoud Chronomètre FB1.1-2 'Oeuvre d'Or' features baguette-cut diamonds on the portholes as well as diamond-set winding crown. 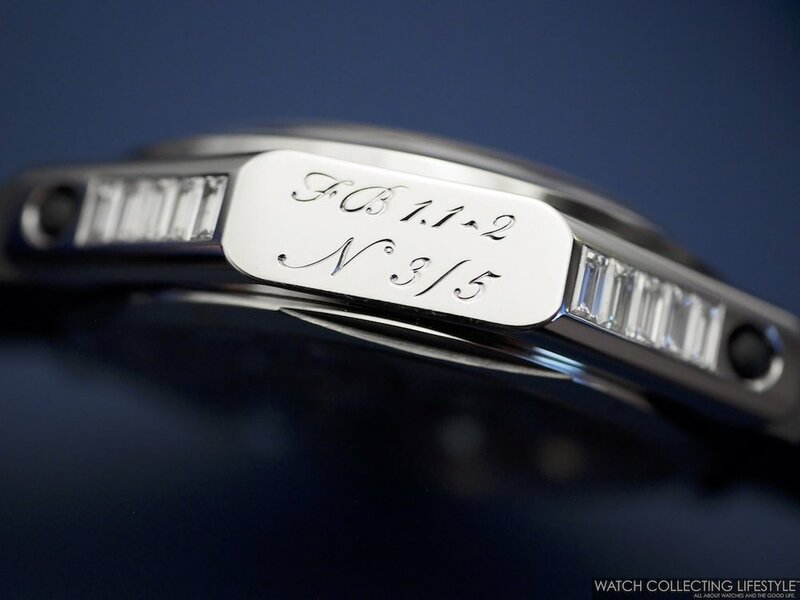 Additionally, for the Ferdinand Berthoud Chronomètre FB1 'Oeuvre d'Or' edition, the limited edition numbers that appear on the caseband are directly hand-engraved rather than stamped. Entirely independently conceived, developed and produced by the Chronométrie Ferdinand Berthoud in Fleurier, the manual wound FB-T.FC calibre features a tourbillon with central seconds, a distinctive pillar-type architecture, an innovative suspended fusée–chain regulating system and a mobile cone power reserve indicator via the dial side. This time the movement features a mainplate made of gold, 18K yellow gold for the FB 1.1-2 and 18K rose gold for the FB 1.2-1. The entirely hand-decorated half-bridges feature this time a hand-engraved pattern rather than the traditional satin-brushed finish. The movement is fitted with an exclusive constant force regulation system with suspended fusée and chain transmission, equipped with a differential winding system. The barrel and fusée are linked by a chain comprised of no less than 474 steel links secured with more than 300 pins that are not wider than 0.30 mm in diameter and all assembled by hand. The chain is 28 centimeters long —11 inches. On the wrist, the watch wears slightly bigger due to its unconventional shape and simply flawlessly. Available in a limited edition of only 5 pieces for each version, both watches are stunning and delivered on alligator straps —chocolate brown for the 18K rose gold model and black for the 18K white gold one— equipped with pin buckles matching the metal of the case. Sticker Price $297,000 USD for 18K white gold and $271,000 USD for 18K rose gold. 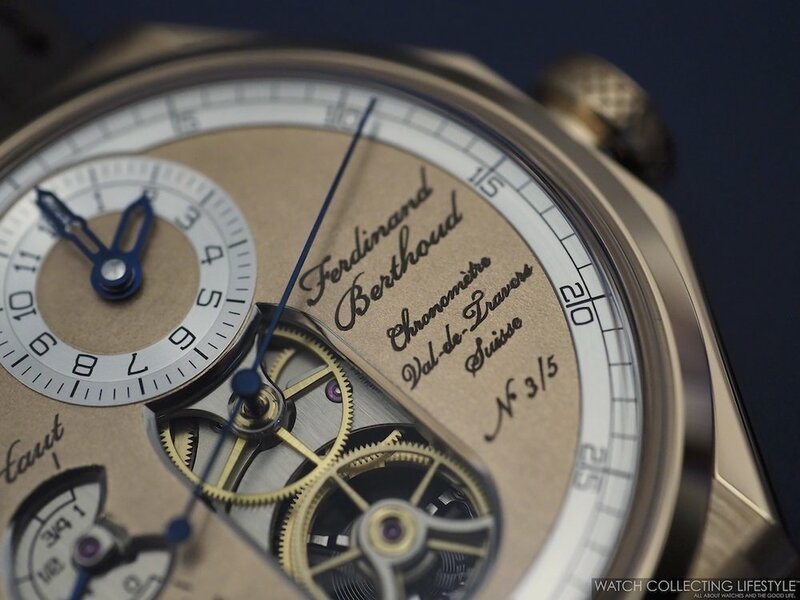 For more info on Ferdinand Berthoud click here. Posted on January 28, 2019 by Editor & Publisher and filed under Other Brands, Ferdinand Berthoud, SIHH 2019, SIHH and tagged Ferdinand Berthoud Ferdinand Berthoud Chronomètre FB1 Tourbillons Independent Brands Fusee Chain Ferdinand Berthoud Chronomètre FB1.2 2019 Independents Independent Watchmaking SIHH SIHH 2019 Ferdinand Berthoud Chronomètre FB1 'Oeuvre d'Or' Most Popular.